For a mellow October I have picked a dozen events for you to eat, drink and discover some of the best chefs and producers in the West Midlands. The first is a Salt & Earth pop-up by Nikki Astley (formerly Two Cats Kitchen ). 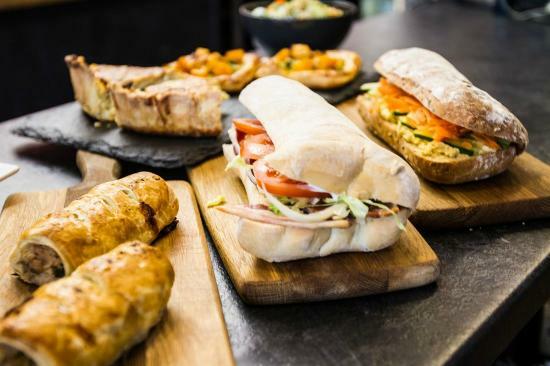 He has chosen the recently opened Kanteen in the Custard Factory as a venue to showcase an eclectic menu with Latin American and Eastern influences – including octopus. There are six dates to choose from. I will be heading over to Staffordshire for the Stone Food & Drink Festival at the weekend and seeing what local producers have in store for foodies. 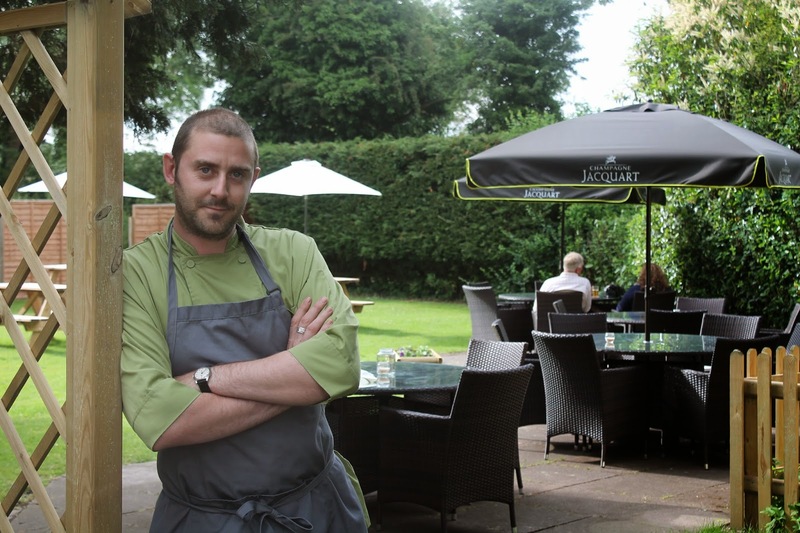 Shropshire chef James Sherwin is holding a special tasting dinner at Alderford Lake, Whitchurch. Look out for an exclusive competition on the blog to win a pair of tickets for the Saturday 28th October Wild Shropshire evening later in the week! Two other themed dinners have caught my eye this month. Taste of Leamington is a mini tour of Sabai Sabai, Momenti, Eleven and Oscars restaurants in the town to raise funds for local charities. Over in Brum, chef Tom Aikens will be in his Mailbox restaurant to host a five course Beef Dinner, which includes a butchery demonstration. There is no shortage of drink events being held in October either. The Wine Gang will bring their Winter Wine Festival to The Cube, Birmingham for a day of tasting over 200 different vintages. If you would like to learn more about natural Austrian wines, then Carters of Moseley has a Meet the Winemaker event to try. The Bluebell in Henley in Arden is showcasing South African wines, meanwhile over in Kenilworth The Cross is repeating its popular Costswold Gin Dinner. It is a taste of the deep South with New Orleans cocktails at The Church in Birmingham and Westons Cider will be celebrating the harvest with an evening tour and light supper in Ledbury. Full details over on the October events page. Christmas shopping in Birmingham this weekend? For a bit of peace and quiet, take yourself off to The Gentleman & Scholar Bistro in the Hyatt Regency to refuel with their new Festive Afternoon Tea. The refined tea tray offers a selection of seasonally inspired treats. You would expect a turkey filling in the sandwich selection, but there is also mackerel, brie, blue cheese and salmon on offer. Scones are given a sprinkle of Christmasness with cranberry and orange and rum and raisin varieties. Spiced apple and calvados profiterole, chocolate gingerbread and chocolate and orange slice are some of the fab mini desserts. 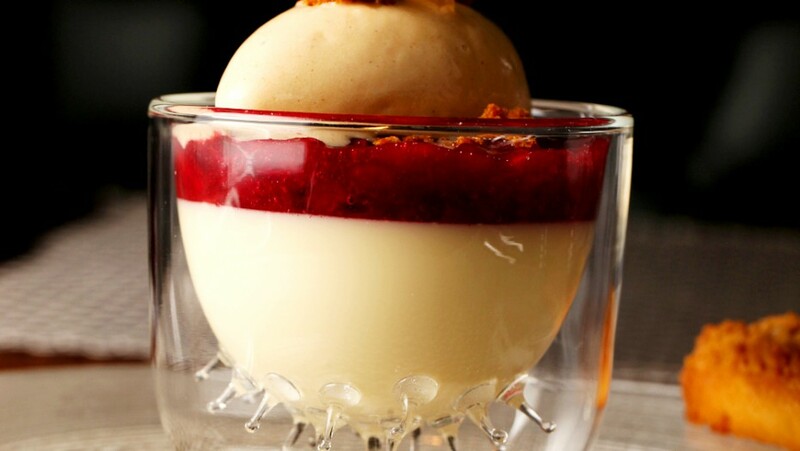 The festive afternoon tea is £19, add a glass of mulled wine for £24.50 or glass of house champagne for £28. Two more to try – in Leamington Spa, Mallory Court Hotel also offering festive fancies, served with mulled wine and Winter Pimms. Carrot cake with spiced orange frosting and cardamom crème brulee feature on The Bluebell’s tea tray in Henley in Arden. October’s food and drinks events page is the fattest blog post I’ve ever written! Chefs taking on new challenges include Adam Stokes pairing up with Purity Bar & Kitchen, while the Eden Hotel Collection chefs battle it out in their annual competition against each other. For drinks events how about a tutored wine tasting with a screening of Sideways at The Electric, an introduction to sherry at The Bluebell in Henley in Arden, a Bordeaux tasting with Loki Wine or German beerfest at The Wild Boar in Warwick. Seasonal markets are back at The Bond, this time with a new afternoon tea and cocktail masterclass and Birmingham’s newest gastropub The Highfield is hosting its first Steak Night with Aubrey Allen. With even more opportunities to meet producers, sample themed menus, shop at markets and celebrate at festivals lets keep it local! As Vermillion in Rugby says adios to their paella night, The Encore toasts the Bard in a special supper for Shakespeare’s birthday. 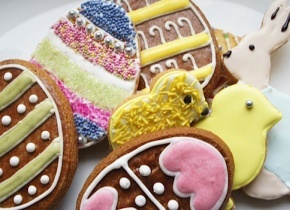 April diary dates for foodies are now on the Events page. 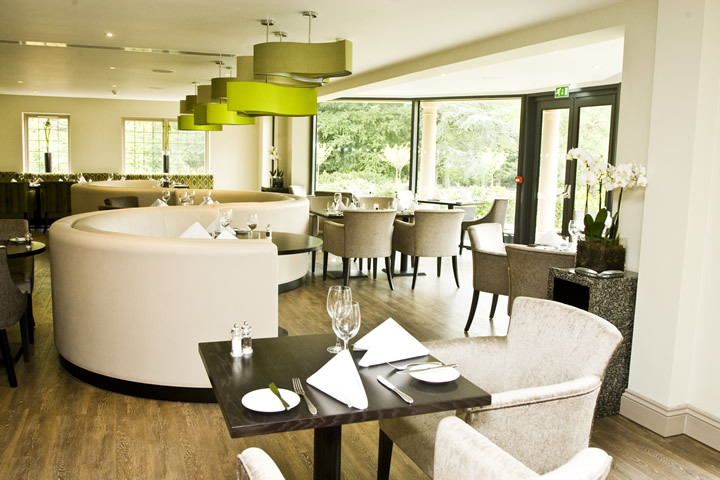 Turners Restaurant in Birmingham has been named as one of the frontrunners for the Midlands region in the Good Food Guide’s Readers’ Restaurant of the Year. Last year The Bluebell in Henley in Arden scopped the accolade. 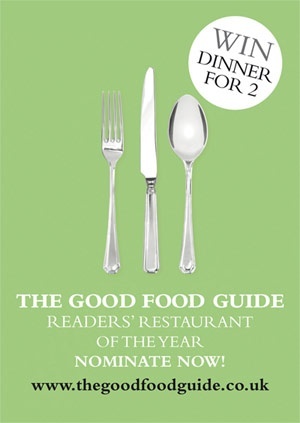 Voting is open until 14 April and everyone who submits a nomination will be entered into a free prize draw for a meal for two at the regional winning restaurant most local to them. From a pancake race at The Almanack to five desserts at the Sweet As Pudding Society, there are new food events for February posted on the Events page. This week I’ve looked at Burns Night suppers and where to buy authentic ingredients to celebrate at home. 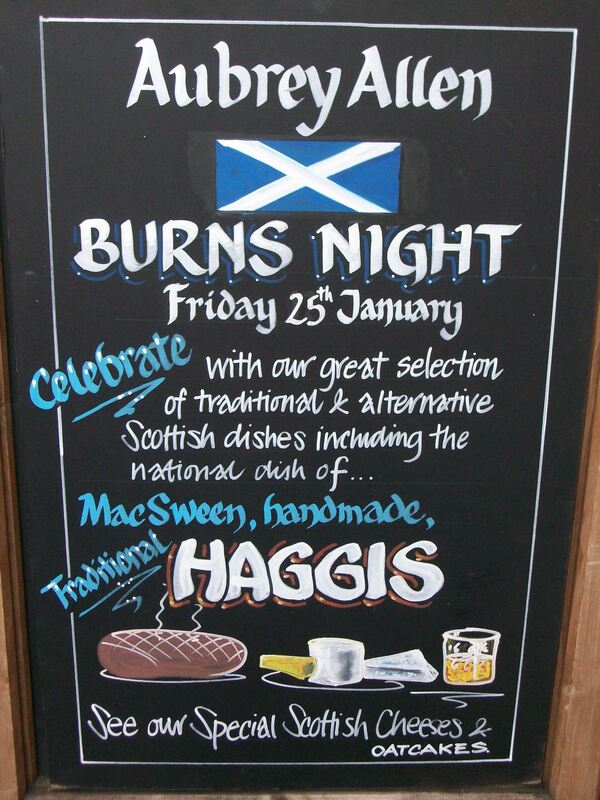 I spotted this board outside Aubrey Allen in Leamington, where you can buy award-winning MacSween haggis from their deli counter, if you intend to celebrate at home. Local restaurants have launched a new brunch menu, rebranded and won a Good Food Guide award this week. Blue Bistro in Coventry is now serving brunch at the weekend, including Eggs Menemen and Kedgeree. The Oak in Hockley Heath has been relaunched as The Warwick, with a new management team and menu that aims to source the finest local ingredients. 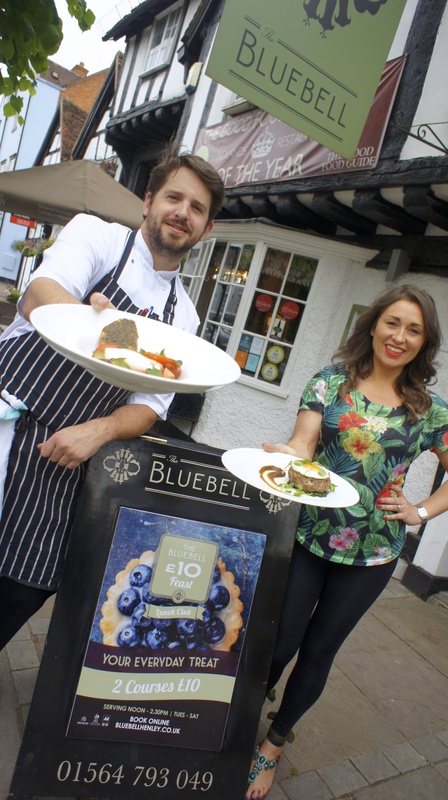 Congratulations to The Bluebell in Henley in Arden, who scooped the Good Food Guide’s Readers’ Restaurant of the Year award for the Midlands. Afternoon teas, picnics and jam-making contests are just some of the feasts planned to celebrate the Diamond Jubilee from The Belfry, Cannon Hill Park and The Bluebell. 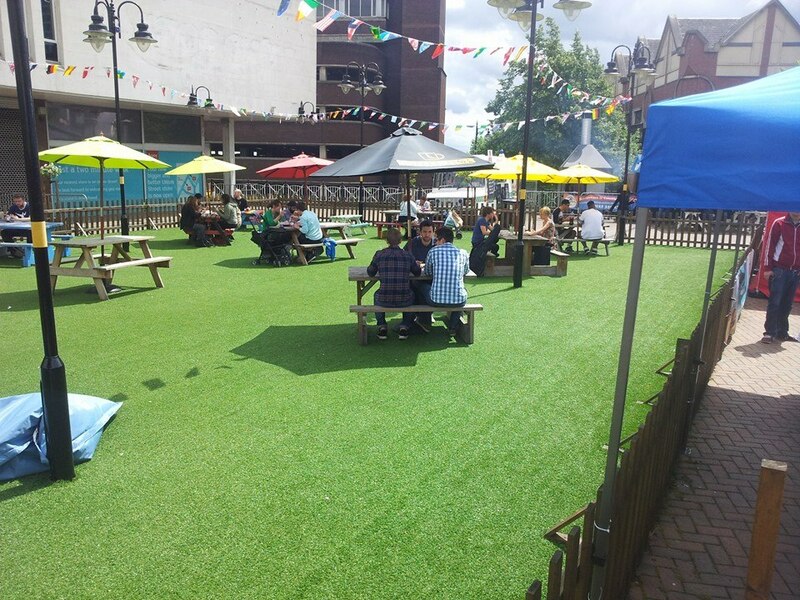 As well as a tea dance and live music stage, Cannon Hill Park will also have an Urban Harvest tea-garden, featuring a record-breaking attempt for the tallest tier of cakes, Jubilee jam-making with fruits grown across the region.